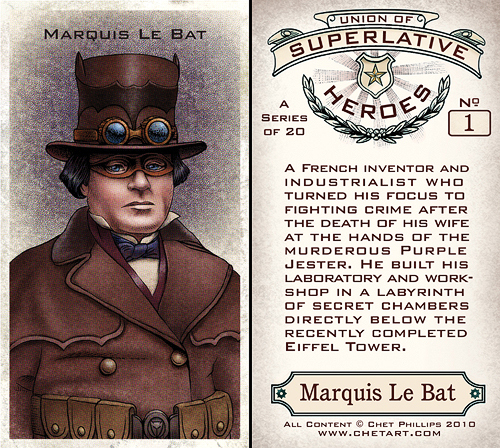 Artist Chet Phillips has created some beautiful illustrations for his Union of Superlative Heroes trading card set (available on Etsy.com). He has a great illustration style and an even greater sense of humor. Don't miss all his other great illustrations as well.